Metallic White 8 1/2 x 11 text paper - Stardream Crystal: This letter size text paper is a medium weight, flexible 81lb text. Crystal is a bright shade of White with a shimmer, pearlized finish on both sides. 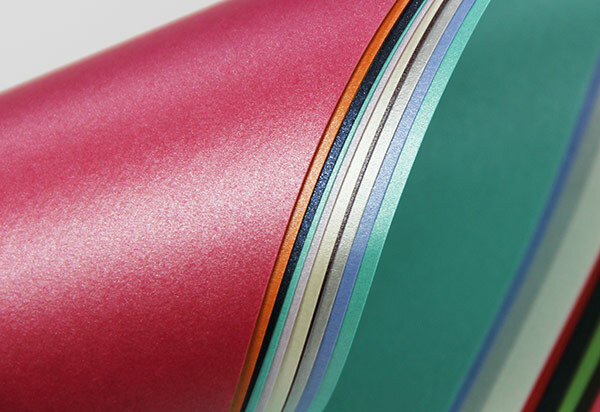 Paper can be printed with a laser printer or with conventional methods such as foil stamping and offset. Due to the unique metallic finish of this paper, we encourage you to order a sample to test print prior to purchase. Stardream Crystal paper is great for high end invitations, stationery, and packaging. Matching card stock & envelopes are available in a variety of sizes.